Construction included all utilities, associated site work, parking areas, bituminous sidewalks, granite curbing, fencing, sliding gates, storm water management, landscaping, site lighting, and appurtenant work. 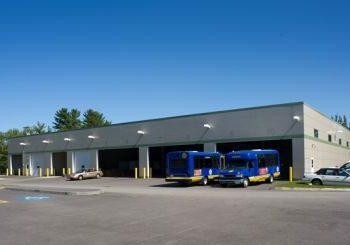 The 174’ x 104’ garage included a metal structure, metal composite panel exterior, membrane roof, overhead doors, windows, and other exterior treatments. 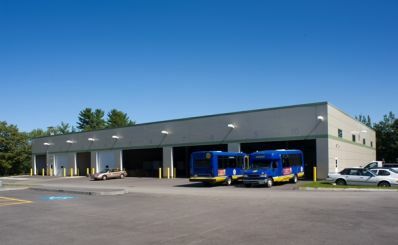 The building included an office/vehicle maintenance area, with interior for office restroom, locker room, break room, parts room, fueling room, utility rooms, mezzanine, and a separate vehicle storage area. 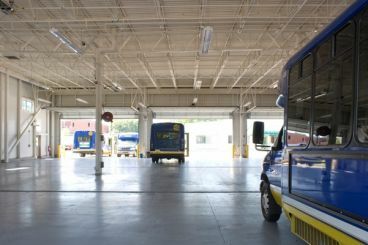 The buildings HVAC system included radiant tube heating in the storage area, radiant floor in the maintenance area and an AHU for office spaces. Also included: sprinkler system, fire/smoke detectors, and alarm system. The design, permitting and provision of an indoor fuel dispensing system and 12,000 gallon underground storage tank. 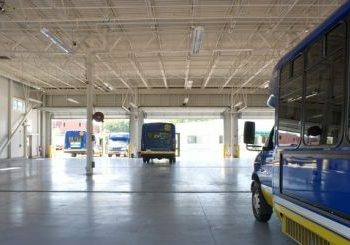 Other appurtenances provided included a scissor lift, drive thru automatic wash bay, standby back-up generator and forklift.